Well, welcome to this session and in this session, I’m going to talk about, well, something that’s very exciting for Paladin Risk Management Services. Now some of you might remember a guy called Big Kev and Big Kev used to go on television and say “I’m excited”. Well, I’m excited too because we have just released the distance education version of the Diploma of Risk Management and Business Continuity. So for those of you who can’t come on the 4 day course to do the face-to-face, or you’re in a remote area, or that is the way that you prefer to actually study, in your own time. Well that option is now available for you. But rather than just send you a whole bunch of reading material for you to go through, we’ve developed some DVD’s, and that will talk you and walk you through the entire program the entire diploma. 14 hours of footage to talk you through the Diploma of Risk Management and Business Continuity. Done professionally in the studio and the product looks fantastic. So I urge you if you are interested in the Diploma of Risk Management and Business Continuity and you’re not able to attend one of the 4 day courses for any reason, then enrol in the distance education version. Everything else is the same the only difference is you won’t have me face-to-face talking to you about risk and risk management, you will have me on a DVD instead. But if you do have questions, you can send them to me and I will answer them within 48 hours and we’re going to keep that on the website as part of the frequently asked questions area so that other people can benefit from the questions that you’re asking. 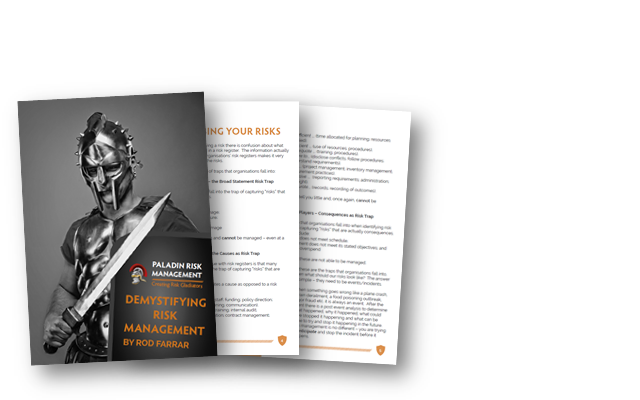 As I said, I’m really excited and it’s a new chapter for Paladin Risk Management Services and I really do hope that you get on board and enrol. 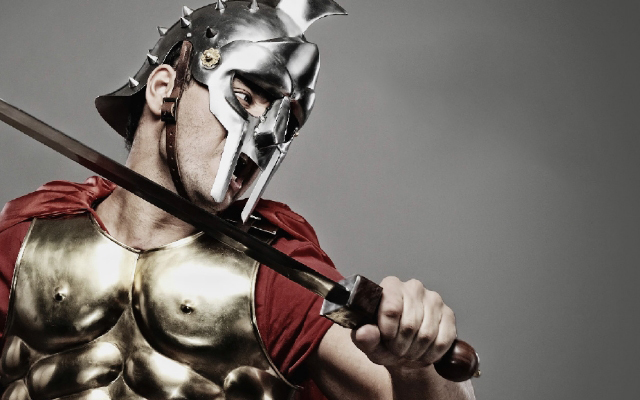 If you do have any questions please do contact me at rod@paladinrisk.com.au or on my phone number 0400 666 142. I hope to hear from you soon.